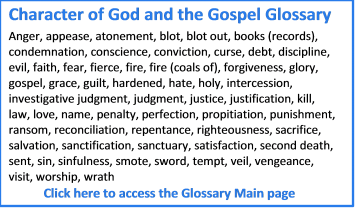 This newsletter reports the latest additions to the www.characterofGod.org which serves as a hub of information about the character of God, the people who are foremost in promoting it and more. 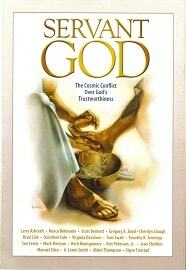 Welcome to Brian Zahnd author of Sinners in the Hands of a Loving God. 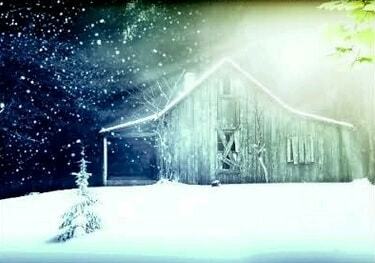 Some years ago, I first heard about the book The Shack by William P. Young. What I heard was mostly negative so I did not pay it any attention. Recently, however I heard an interview by Brian Zahnd (the newest contributor to www.characterofGod.org) of William Young. They talked of the character of God and what I heard resonated with many things I have learned lately. So I read the book. It is different. While many Christians I know might have challenges with it and its portrayal of God, it said some good things about His character. What does God Himself think of it? – well, we will find out. But I think He is anxious to use a wide variety of tools and messages to reach people and dispel the many myths of what He is really like. Just last night we were able to watch the video version of The Shack. Of course, the movie version always has to leave lots out. 1. Listen to the interview by Brian Zahnd of author William Young – their discussion hopefully got some people thinking about God in a new way. 2. Read the Book – there is much missing from the video so you might appreciate what is in the book more. 3. Watch the movie – we got the DVD on an inter-library loan from our local library. Trouble comes from another source. It is interesting that the people even recognized the reason the evils were coming upon them – people today can’t figure that out. However, there is another, deeper meaning to God “hiding His face.” It is not simply so that we cannot “see” Him or benefit from His protection. It also has to do with God’s feelings. Yes, He has feelings too and when you become aware of this you will start to notice it being mentioned often in scripture. Joseph hid his face from his brothers to vent his emotion. Notice the connection to “his bowels did yearn.” This term expresses strong emotion as in Psalm 22:14. I hope to be sharing more about this at some meetings next month. Understanding God’s emotions, I believe, will help us connect with Him more. 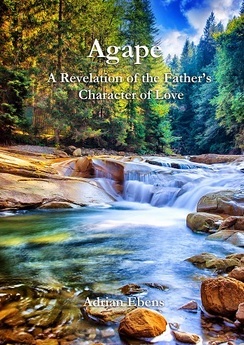 Adrian Ebens’ new book Agape is available from me for readers in Canada. The book includes concepts I had never heard anywhere else but they make sense and help to explain some of the more difficult concepts regarding the character of God. There is no charge for the book but if you can help a little especially with the postage I would appreciate it. If you are requesting from the U.S., I will forward your name and address to a U.S. contact that can send a copy. Again, see the right column of my website. 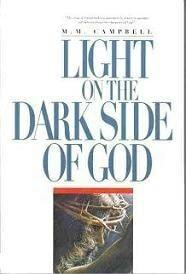 The revised and updated version of Marilyn Campbell’s Light on the Dark Side of God is now available. You can get the new full version from https://www.the-character-of-god.com/ There is also a condensed (less costly to mail) version available from my website – see the right column. Traffic (number of unique visitors) to www.characterofgod.org was up 10% for January from December, increased another 16% in February and is looking like a larger increase in March. While it is not a large amount, there is a steady stream of comments, questions and book requests to respond to. Whenever I post a new article to my website, WordPress automatically sends an email notice to my subscribers at about 6am PT the next day. I have encountered a problem with Gmail filing the notices coming to me in the SPAM folder. I would like to know if anyone else with a Gmail address has had this happen. That should do it. Thank you. Feedback: Please get back to me, Ray Foucher, at rayfoucher@gmail.com with any feedback from this newsletter and please share this information with others.